The Kewene has been around for years, since 1974 to be precise, which says a few things in today world. 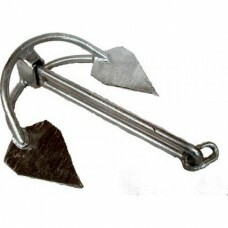 A good anchor for the smaller boats with good all round performance. Made strong in steel only. Features a sliding shank so if the anchor gets stuck that does make the chances of getting it back a lot better. Compact in size so they store well.